There’s a well known saying in the world real estate sales “Don’t tell me.. Show me” . Instead of telling people you are #1 why not use a proven and innovative Jigglar template to illustrate your real estate marketing and negotiating skill. 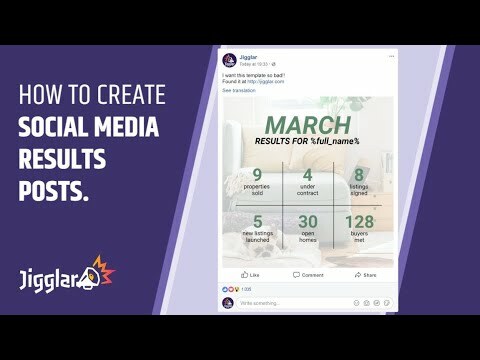 These social media results templates are proven to make a quick and powerful connection with potential clients in your network.